With its beautiful history, crystal clear turquoise waters and much quieter ambiance, it's no wonder why this Island is visited by many and growing more each year. At five miles long and less than a half-mile wide, there is so much history in Isla Mujeres. When the Spanish first arrived on Isla Mujeres they discovered various idols and cult images of the Goddess Ixchel, which is how the island got it’s name, Isla Mujeres (the island of women). Well, thats one story. Legend has it that the only inhabitants of the island were the priestess of the goddess Ixchel and her court of women. Ixchel was the Mayan Goddess of fertility (childbirth), moon, medicine and happiness and the Island was known to be her sanctuary. Her temple is located on the southern most point on Isla known as Punta Sur (Which I will be talking about later on). Another legend is that men would leave their women in safe seclusion on the island while they went out to sea or over to the mainland. Another story has it that they believed that the island was a stopover for the Mayans on their way to Cozumel to worship the Goddess Ixchel. When the waning moon appeared in the east, people made pilgrimages to the Ixchel shrine on Cozumel. It was tradition of the Mayans to form a pilgrimage from the mainland to Cozumel at least once in their lifetime, especially if you were pregnant or wanting to get pregnant. Till today, this pilgrimage is held once a year and a ceremony is held to honor the Goddess of fertility and rumors and stories say……….that many women would get pregnant right after attending the ceremony and even one that had her tubes tied, so BEWARE!!!! I’m going to be honest, but I don’t like Cancun! It’s just like Vegas minus the casinos and add a beach. However, I feel like I can visit the State of Quintana Roo every year. I love the beaches, the food, the people and there are so many other amazing locations with virgin beaches. We stayed in Isla Mujeres for four days, but the awesome part is that you can also discover the island in four hours. Many of the tourist that stay in Cancun take day trips to the Island, as it only takes 20 minutes by ferry and the tickets are super cheap (around $15 or $20, I can’t remember). Ferries leave Cancun every 20 minutes and go until the late evening, so its super convenient and doable. Last year in May we visited Playa Del Carmen and went to Chichen Itza, you can read my post here. So this year we decided to visit Isla Mujeres and Isla Holbox. After doing my research on EVERYTHING, we decided to go to Isla Mujeres first. So here are some photos of our trip several weeks ago and a few tips on what to do on the island whether your there for a week or several hours. I can't wait to show you my video so you can actually see how beautiful this place is. So whether you’re staying for a week or just going for the day, there is so much to do on this little island. First things first, is renting a golf cart. The primary form of transportation on Isla is golf cart and moped, so you might as well rent one. This is a great way to discover the island and believe me, you can drive around Isla in several hours. We rented our golf cart through our hotel Privilege Aluxes at $65 for 24 hours. I’m not sure what the other rates are around town, but we are all about convenience. After you rent your golf cart make sure you stop by your closest coconut water guy, that is on the side of the road, and drink some good coconut water and hydrate with potassium because its hot!!!! Picture on the left is where Ixchel's temple is. Its located at the very end of this walkway, but we didn't go. Punta Sur, a MUST visit if you go to Isla Mujeres. Punta Sur (the southern most point of Isla) is where Ixchel’s temple is. Her temple was mostly destroyed by a hurricane in 1988, but you can still see parts of it and walk along the cliffs of the turquoise waters. Something super cool about Punta Sur is that Ixchel’s temple is located where the rising sun first touches Mexican soil. Her temple gets the first rays of sun in all of Mexico and it's a pretty magical sight to see. Another reason Punta Sur is a must visit is because of its 360 degree views. There is something so serene about sitting on a cliff of beautiful waters and being completely surrounded by beauty. 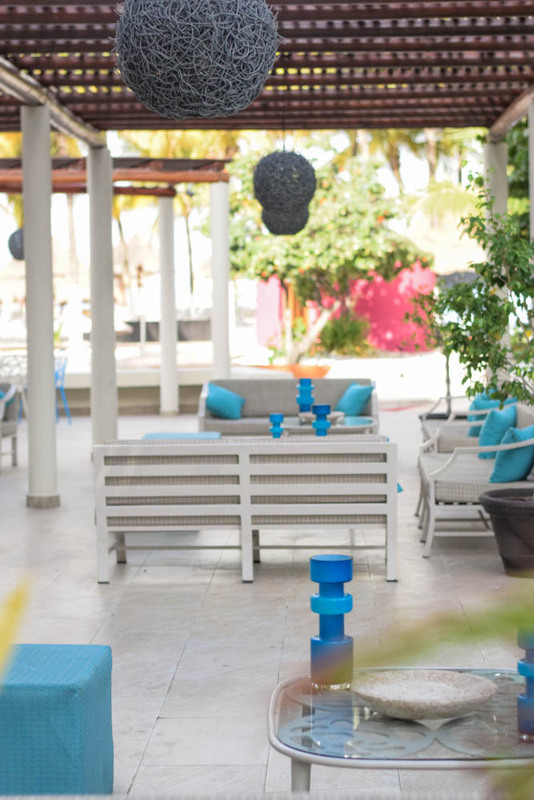 All you can do is order food, drinks, relax, look at Iguana’s while you eat and take in the majestic views. P.S we had the best michelada in all the island at the restaurant in Punta Sur. Another great thing to do is drive and explore the island. We drove by the famous Shell House (Which you can rent) and stopped by the most beautiful catholic church that sat on top of a cliff overlooking the pristine waters. You can also drive around and find the Floating Bottle Island that was man made. Or visit the Garrafon Reef Park. THE TURTLE FARM is such a cute place and worth the stop. Isla Mujeres has been ancestral hatching grounds to giant sea turtles that lay their eggs in the soft sand May through September. In order to keep their eggs safe from predators, they are taken to the Turtle Farm and placed in pens until they are ready to be released into the ocean. The turtles are released in September by the islanders children and other tourists. At the turtle farm you can see these turtles and albino turtles that are not able to survive in the ocean, like the one pictured left. Playa Norte is also a must when visiting Isla Mujeres. This beach is large and beautiful with the most crystal clear waters and it's shallow so you can go out pretty far. A lot of people vacationing in Cancun, rent boats and park them on this beach and have a party on the water. Buho’s bar has swings while you sit at the bar and next door you have a massage parlor offering massages on the beach. 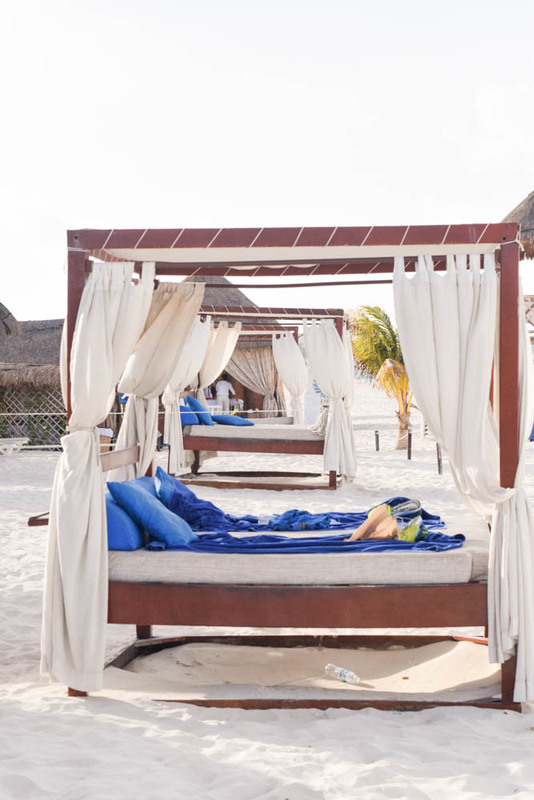 You can rent beach chairs for about $15 and a cabana for about $20, which is such a great deal. Going into Downtown or just going there in the evening is nice. It’s not super noisy like Cancun, but there is some mild night life going on. You can find many great restaurants and bars, along with souvenir stores. Bonus points if you can find the “chancla" (flip flop) tree. 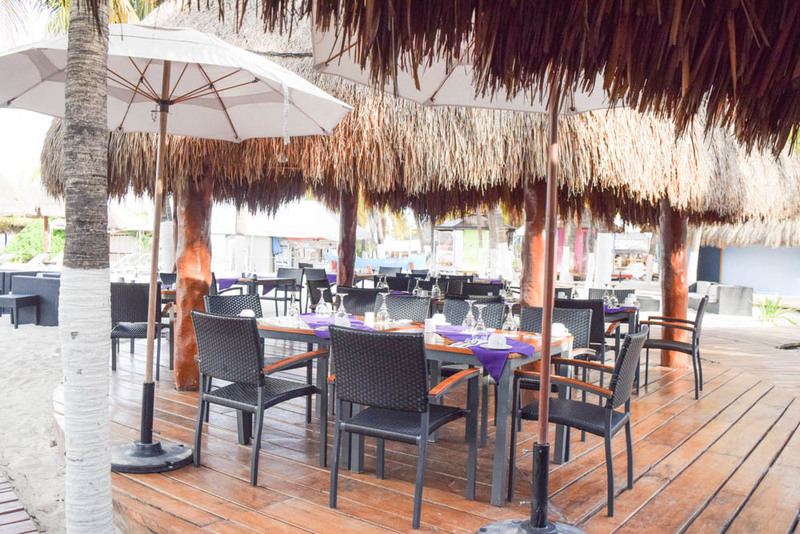 One great place to have dinner right on the water is Restaurante Miramar. This is a lobster house and you can either order a lobster that was fresh caught within a couple of days, or you can choose your live lobster, take a picture wit it and then it gets cooked. Talk about fresh lobster!!!! The most important thing for me was my hotel and its location. With that said, we stayed at Privilege Aluxes and I’m so happy we did! 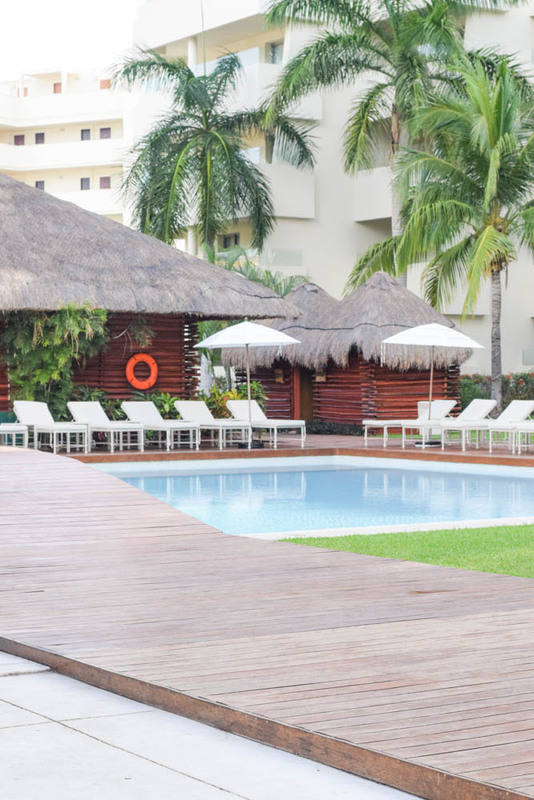 It’s an all inclusive resort with several pools, three restaurants and an awesome beach. 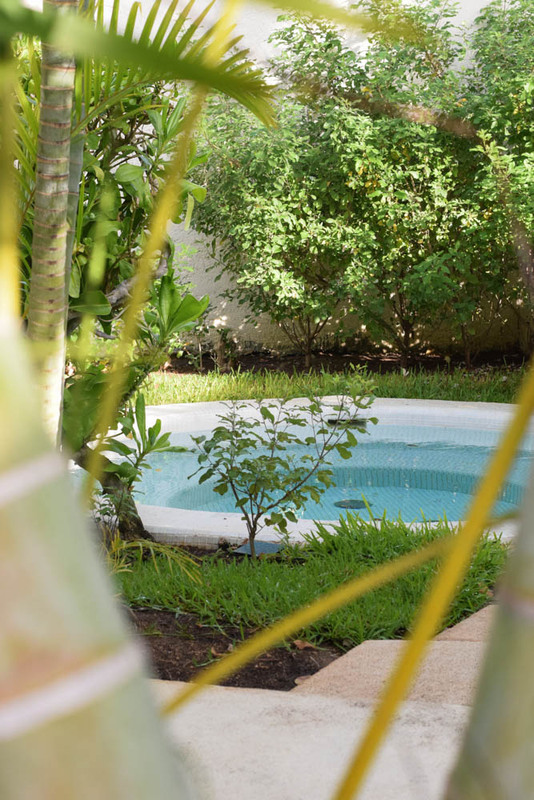 It’s perfectly located around the corner from Playa Norte and several hundred feet away is the ferry port. Its a few blocks from downtown and to the west side of the Malencon. 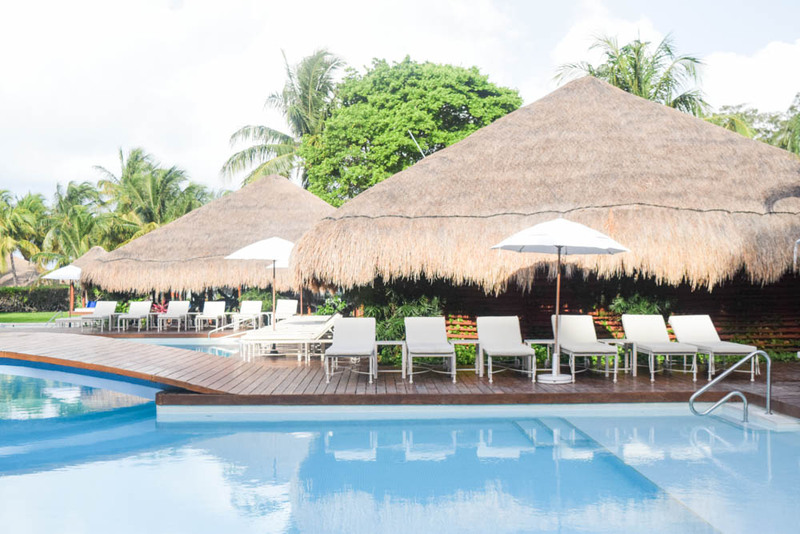 Privilege Aluxes offers an Asian Fusion restaurant, Sabor (buffet) restaurant and the Beach Bar Club. They also offer beach dining with reservations! My favorite from the beach bar were the shrimp tacos and for breakfast, the chilaquiles. 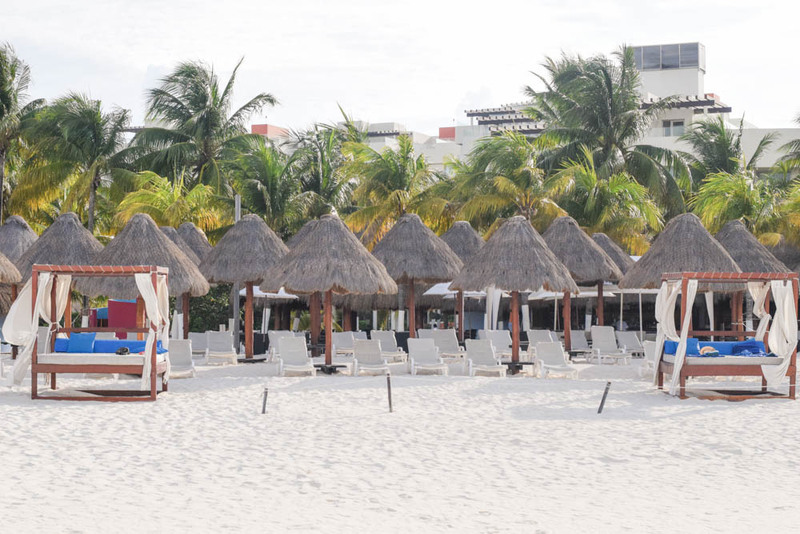 One cool thing about the hotel beach are the lawn chairs and cabanas. 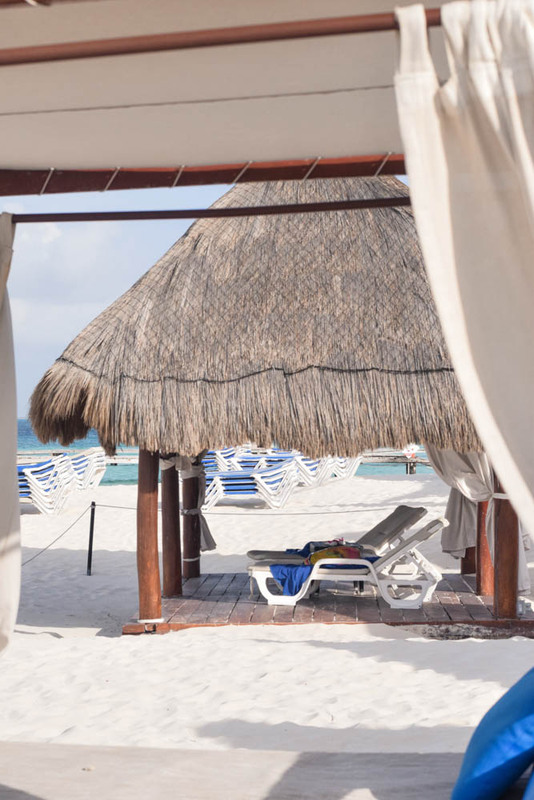 There's plenty of chairs and only a few cabanas, but everything is first come first serve, so if you want a cabana, get there early. There is no charge for the cabana’s or lawn chairs. The wine is ok, but at least there were a couple wine selections. During the day most of the guests go to the beach or go around town. At about four o’clock everyone returns to the hotel and goes in the pool. Jose and the other guys at the pool bar were awesome and very helpful with local recommendations. Jose also made us this delicious strawberry smoothie with rum…..so good! Our suite was beautiful and huge!!!! We got a honeymoon suite overlooking the pool with the most amazing views of the ocean. We were also very lucky to have a jacuzzi on our balcony, which made everything so much more relaxing. The suite had a kitchen with a mini fridge that was stocked and refilled daily and room service was included with the all inclusive. The suite also had a table in the kitchen area, a living room and a separate bedroom and bathroom. The bed was so comfortable and we could have slept for days. On our last night, housekeeping left us a beautiful heart on our bed made of roses. It was so pretty I didn’t want to destroy it. Just 20 minutes away from Cancun is this beautiful little island that you can visit in a week or in four hours. Isla Mujeres has so much to do, history and culture that you definitely want to visit or stay longer. I could go on and on about how awesome Isla Mujeres is and Privilege Aluxes. I guess your just going to have to visit for yourself. I have a video that I will be sharing in the next week or so about our experience and tour of Isla Mujeres and Privilege Aluxes. **** A Special thank you to Privilege Aluxes for having us and making our stay very enjoyable!!!! Photography by Me and David Eccles. 4 must see places on the way to Las Vegas, Nevada!